Attempting to understand how a teacher enables a student to transform thoughts into words on a page – in different genres, styles and tones – is a complex enough endeavour in its own right. Trying to develop excellent writing pedagogy in a system dominated by standardised, politicised assessments makes the task even more challenging. The National Curriculum working party may not have foretold the consequences of their removal of such vital elements of writing from assessment. Thirty years on, these themes – the importance of meaning; the perils of reductive writing pedagogy in the face of high stakes tests – echo through the contributions to this Special Edition. Gordon Pradl celebrates the life and work of David Holbrook and James Britton, who, following active duty in the Second World War, were fearless advocates of an expansive view of English. Both had the clear aim of helping students to make sense of their subjective experiences. Helena Thomas writes powerfully of the role that the imagination can and should play in the teaching of writing, arriving at a philosophical standpoint that defines the teacher as artist both in terms of pedagogy and in terms of reading and writing themselves. Myra Barrs turns her attention to current practice. She carefully analyses the possible causes of ‘bad writing’ in schools and explores the circumstances that disempower teachers, locking them into a metaphor of delivery rather than artistry. Simon Gibbons also looks at questionable practice as he describes the ubiquity of ‘PEEL’ paragraphs. He glances backwards to gain some perspective and sounds a note of optimism that English teachers are collectively capable of loosening the stranglehold of formulaic pedagogy. To do this, as Whitney et al. argue in Coaching Teacher-Writers (reviewed in this issue), we need activists to write about poor policy and practice. We need to build on and publicise the substantial knowledge base that already exists to support the teaching of writing. When teachers write reflectively and write together, they develop an understanding of what it means to write – the difficulty of it, the vulnerability it brings and ultimately the clarity, the empowerment and satisfaction it engenders. Nikki Aharonion and Pauline McNamee reflect insightfully on this. The vignettes of children’s writing and Emma Exelby’s letter to a Year 11 student are reminders of the young people with whom we work and of observation as a professional practice. The artist teacher, for whom improvisation is a vital skill (see Holbrook, Thompson) stands back, looks carefully, and – drawing on personal knowledge of teaching, learning and writing – is then able to think about how to respond. Perhaps, in the absence of clear lines of communication into policymakers, English teachers are increasingly putting their energy into and drawing inspiration from what Kevin McDermott calls ‘the margins’. Writing flourishes beyond the school walls. In 2018, the Foyle Young Poet competition received almost 11,000 poems. Theresa Gooda’s article explores and exemplifies writing outside the classroom; Kevin McDermott describes the enlivening approaches to teaching writing he used in Dublin schools as a writer in residence, freed from the obligation to meet targets. Meanwhile, back in mainstream classrooms, the dead weight of a prescriptive and reductionist viewpoint is hard to shift. And yet individuals, especially amongst the young, have learned somewhere that writing is a vital human activity and that it works for us in many different ways. It has a moral and humane heft, it underpins criticality, it is inventive and visionary, it can anchor us. Of course, writing resists ‘mapping onto levels’, but the failure to take writing seriously as a fundamental element of human growth has become a failure to take responsibility for children’s intellectual growth and moral becoming. Rosen and his generation defended the discipline of English bravely and eloquently. Beyond the classroom walls, echoes of their ideas are getting louder. Armstrong, M (1989) Popular Education and the National Curriculum. Forum Vol 30, No 3. pp 74 -76. DES (1989) English for ages 5 – 11. London: Department of Education and Science and the Welsh Office. Eaglestone, R. (2000) Doing English: A Guide for Literature Students. London: Routledge. 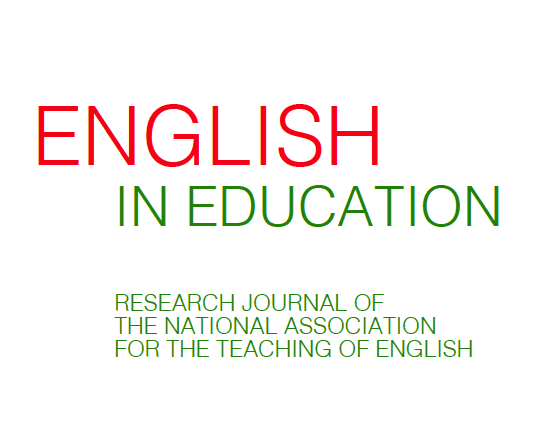 This special issue of English in Education will be published online and in print early this year. Members of NATE will have online access and receive print copies. To join NATE, please see links to the right. 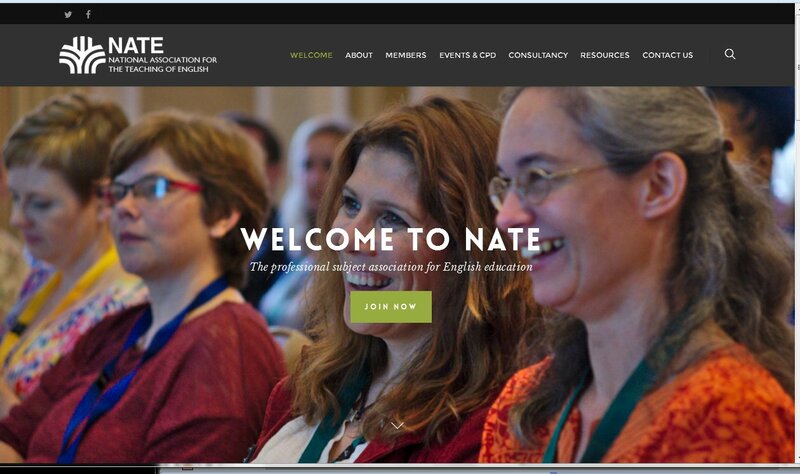 Shortly after its inception in 1963, NATE joined with the US National Council of Teachers of English (NCTE) and the Modern Languages Association (MLA) to secure funding for a month’s long seminar at Dartmouth College in New Hampshire. The plan – as John Dixon has written, perhaps surprising today – was that a group of 40 to 50 teachers in schools and universities would thrash out the fundamental questions about English teaching and, through their national associations, spearhead a new approach. Delegates to the conference brought visions of English teaching that differed not only between but (in some cases) also within the participant territories. English teachers in the United States employed rhetorical models of expository writing that were less familiar to participants from the UK, several of whom brought to Dartmouth a tradition of close literary study originating largely from the Scrutiny-inspired Cambridge school. At the same time, delegates from the London Institute of Education, including James Britton and Harold Rosen, insisted on the importance of respecting and working with the language that children brought to the classroom as a starting point for development. In the circumstances, it was necessary to find a principle of English teaching that would reconcile these divergent approaches to teaching and learning within the prevailing educational climate. The concept of “personal growth”, articulated by John Dixon of the UK delegation, provided a pedagogic ideal which most could support. It spoke both to the delegates’ awareness of wasted talent in the school-age population and to the zeitgeist that produced the human potential movement, R.D. Laing’s anti-psychiatry, and the Summer of Love of 1967. Fifty years on, it is still the principle of English teaching that gains the allegiance of a majority of practitioners. This is because the radical core of the concept of “personal growth” was the student’s own language. These formulations about students’ language and literary response were developed, amended and rewritten over the next half century in NATE publications and elsewhere. During these years, language study was reconstituted, insights from discourse studies of genre and narrative were assimilated, and technological change was incorporated into everyday classroom practice. The development of English studies over the last half-century demonstrates (in the words of Garth Boomer, a former president of the Australian Association for the Teaching of English) that the curriculum is no longer a prepackaged course to be taken; it is a jointly enacted composition that grows and changes as it proceeds. The view that the experience and language that the child brought the classroom was intrinsically important, and that the process of teaching English must start here – not merely to impose class-based notions of formality and correctness, but to work with students to expand their language, cognition and range of feeling: this is the legacy and the importance of Dartmouth. This post is adapted from an article to be published in Teaching English. There will be a research symposium on Dartmouth on 26 June 2016 following the NATE Conference in Stratford on Avon. Last Saturday, the London Association for the Teaching of English ran a day conference at the Institute of Education on the work and legacy of James Britton. Some of the large gathering had known and worked with Britton; others had had only recently completed training in the institution where his ideas had influenced the practice of generations of English teachers. Others, myself included, had less direct knowledge of the man and the institution. Britton believed that understanding the relationship between language and thought was key to understanding how children gain language fluency. In chapter 2 of Language and Learning (1970), he used the work of Luria and Vygotsky, then little known in the UK, to examine the development of thought and language. He saw language as a means of building up a representation of the world. An inward running commentary on experience that operates alongside social speech becomes internal speech: a retrospect that enables a prospect. Speech thus precedes writing, and children’s written language develops from and alongside their talking. Britton developed the concept of the Participant and Spectator roles of language: the speaker/thinker acts on the world by means of the representation and acts on the representation itself. From this point of view, literature does not occupy a different realm from other language; expressive and poetic writing and reading are natural functions of the spectator role. The concept of the spectator role thus brings literature into touch with processes in the everyday life of young people. As Viv Ellis has written, Britton was ‘the exemplary academic educationist: once a teacher, always fully engaged with the work of school teaching and motivated by educational questions; hugely supportive of the profession developing its own leadership (through subject associations, for example); … Britton shows the way you might, as someone who works in a university Education department, do good work in every sense’. In the final session of the conference, Simon Clements and Douglas Barnes, both of whom had worked with James Britton, spoke. According to Douglas Barnes, one learned from Britton how to be a person as well as a teacher. Could there be a better account of the legacy of a seminal figure in the study of language and the teaching of English?